Skin type: Normal, mature, dry and combination skin. How to use: Apply 1-2 capsules morning and night after cleansing, toner and serum. Formula: Contains Macadamia Integrifolia Seed Oil, sunflower oil, Shea butter and Niacinamide. 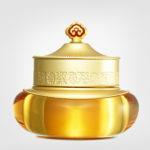 Good: Rich deeply nourishing face cream that doesn’t feel heavy or greasy on the skin. Good absorption. Suitable for all skin types on need of deep nutrition and moisture. 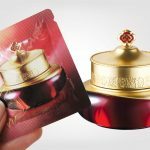 Cool and innovative products with the capsules. Bad: Quite expensive! Somewhat tricky and time consuming with the spatula and slippery capsules. Pretty strong scent. 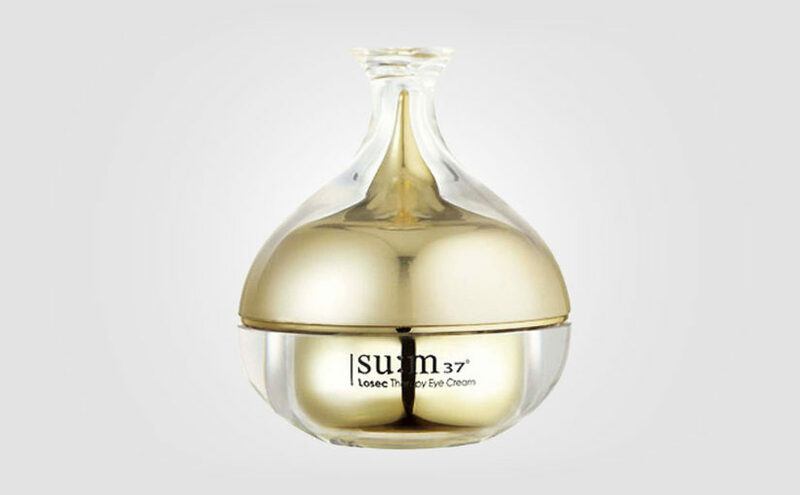 Effect on the skin: The skin feels properly moisturized, soft, supple and nourished. Let’s test an innovative and exciting face cream treating wrinkles and signs of aging from Korean brand J.ONE. Here’s my review of the J.ONE Hana Cream. 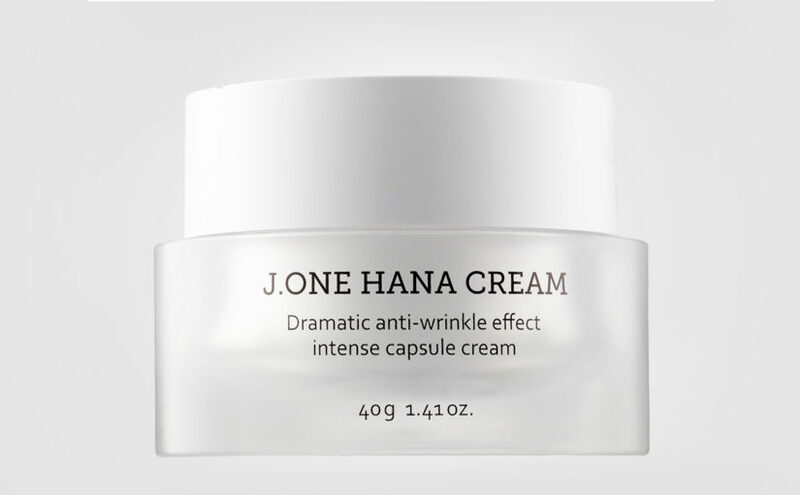 The J.ONE Hana Cream is a Korean face cream effectively treating wrinkles and lines. 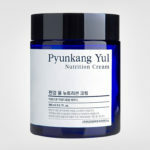 The face cream is deeply nourishing and protects the skin from free radicals and giving the skin a brightening effect. 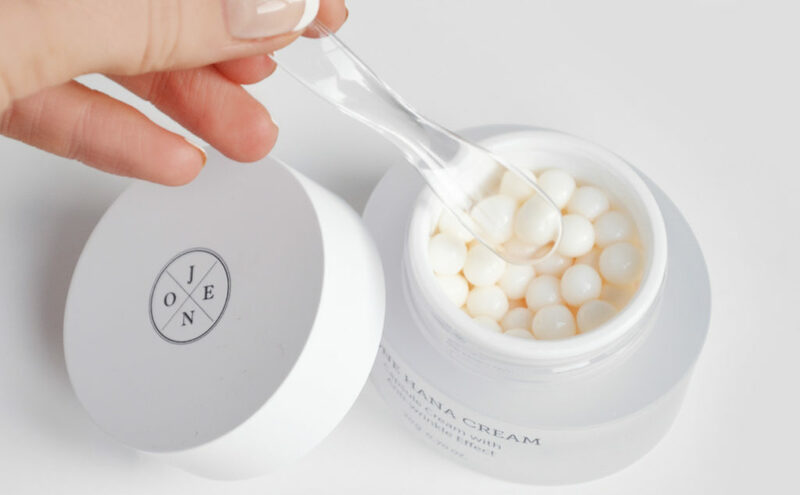 J.ONE Hana Cream comes in small super cute capsules inside the jar. 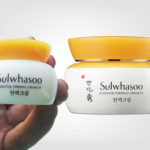 “Hana” means “one” in Korean and a single capsule is the perfect amount of product for one application. 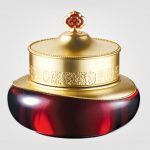 The jar contains about 65 capsules (20gr) or 130 capsules (40gr). 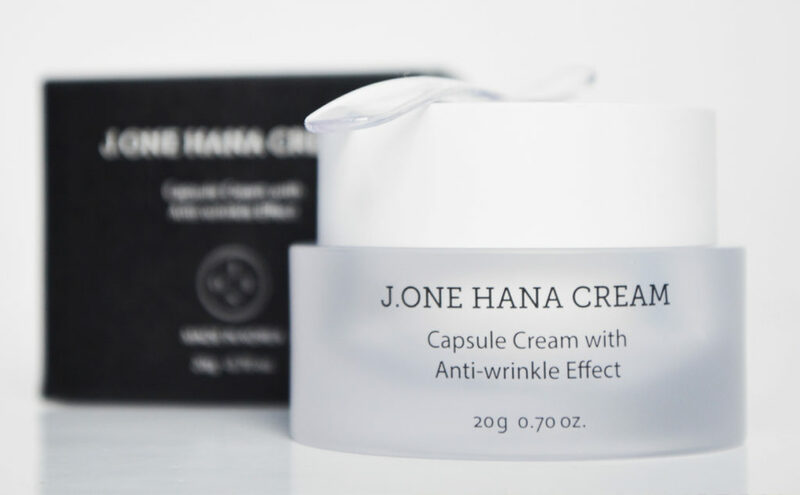 The J.ONE Hana Cream is a really exciting Korean face cream because the product comes in small creamy white capsules inside the jar. Incredibly innovative and fun and very instagram-friendly indeed. Scoop up a capsule using the spatula and gently crush it between your fingers. Then apply the face cream all over your skin. One capsule contains the perfect amount of product for one application. If your skin needs extra care, then use 2 capsules instead. I usually do, especially at night. 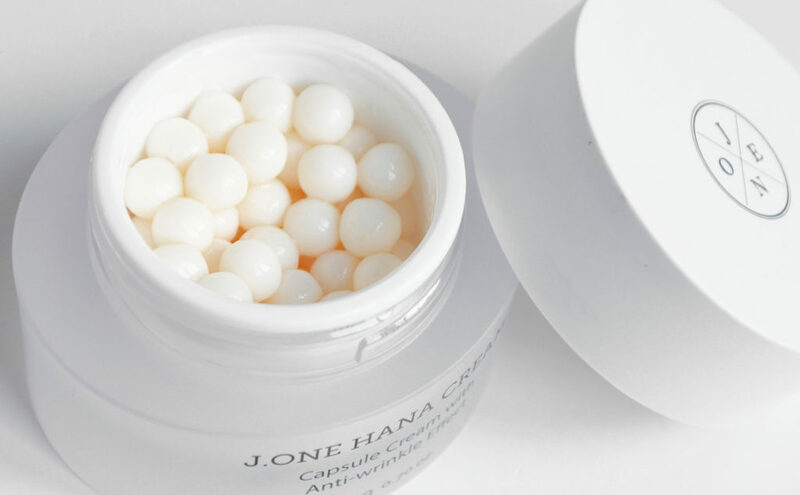 J.ONE Hana Cream is an exciting and stylish face cream that comes in small round capsules looking like beads inside the jar. Super cute indeed! The J.ONE Hana Cream is a white and properly thick rich face cream that almost resembles bodybutter or shea butter or something. The texture is very unique. 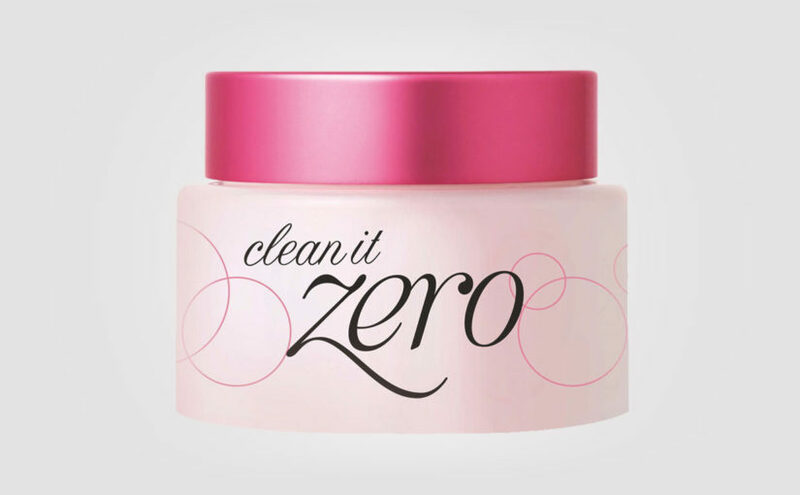 Although the cream is thick, it’s still well absorbed into the skin and doesn’t feel greasy or heavy at all. 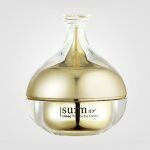 J.ONE Hana Cream is deeply nourishing and works effectively against wrinkles and signs of aging. 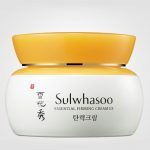 The face cream is caring and softening making the skin moisturized, resilient, supple and smooth. J.ONE Hana Cream has an embracing skin care scent. I’m thinking of some cream from my childhood. It kinda smells like a “grandma”. However, the scent is quite strong meaning J.ONE Hana Cream is not for those sensitive to scented skin care. I don’t mind though. I would recommend the J.ONE Hana Cream to normal skin, dry skin and mature skin with signs of aging. And for combination skin mainly as a night cream. 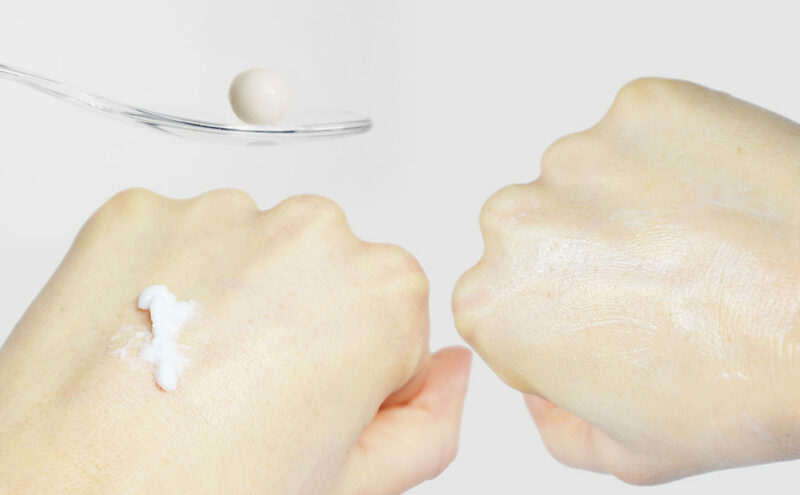 J.ONE Hana Cream is perfect for “skin care nerds” who like testing out new, exciting and innovative products. Or for those who put a lot of effort into the skin care routine and want to spoil themselves. But if you’re looking for an ordinary uncomplicated face cream then there are better options that are also cheaper I feel. J.ONE Hana Cream feels pretty advanced. The skin is immediately soft, supple and moisturized after application. 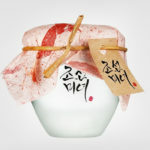 J.ONE Hana Cream is deeply nourishing and has good absorption even though it’s quite thick & rich. Plus because the J.ONE Hana Cream is an innovative, stylish and cool looking face cream that makes a difference to the skin. 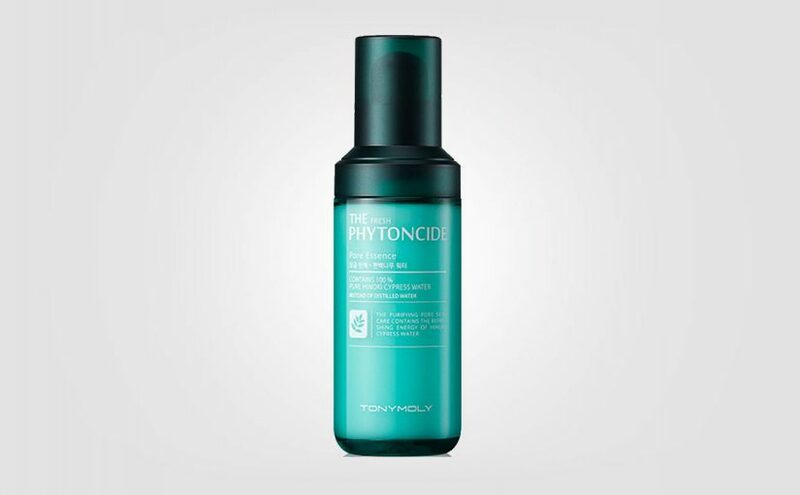 Plus because the skin becomes smooth, soft and resilient after application. Plus because J.ONE Hana Cream has a really thick and rich formula but it’s still absorbed into the skin without feeling heavy or greasy. Minus for the price that is around €50 / 40gr. However, you do get 130 capsules for that price! Minus because I didn’t see any major effects on wrinkles and lines unfortunately, it does say “anti-wrinkle effect” on the jar. Minus because the whole process with the spatula and capsules is a bit time consuming to be honest. The scent might be too strong, but nothing bothering me personally since I like scents in skin care. 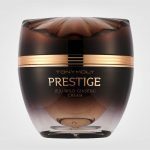 Overall a really nice and rich deeply nourishing face cream, although a bit too expensive for my personal taste.